Focus on your conversations, we'll take care of the rest. Give experts superpowers and increase your website's average order value by 17%. Bots qualify your customers' needs, letting humans focus on their business expertise which reduces their average handling time by 15%. Human agents focus on their core expertise. Create bots directly from the iAdvize platform. Add text, images, links or questions via simple drag and drops. Let bots validate your customers information to help your team save time. Thanks to the bots' conversations are seamlessly transferred to the right respondent. 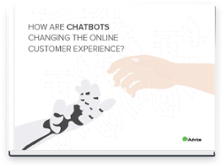 How are chatbots changing the online customer experience? 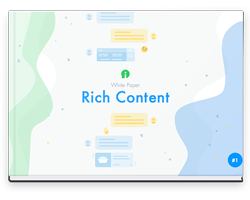 Convert your conversations into an experience by sharing rich content and your product pages directly in the conversation thread. 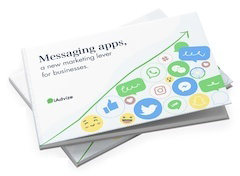 Messaging, voice, video: your customers chat with you as naturally as they do with their friends and family.